It is an exciting year for the Dave Thomas Foundation for Adoption as we celebrate our 25th anniversary on July 31. Since 1992, the Foundation has been committed to the vision of our founder, Dave Thomas: to ensure every child has a permanent and loving family. Our mission has never wavered. Each day we work to dramatically increase the number of adoptions from foster care. We believe that family is the birthright of every child and that every child is adoptable. In 25 years, we’ve reached some remarkable milestones. We were one of the co-founders of National Adoption Day, a grassroots collaborative that is now embedded in all 50 states and D.C.; significantly expanded our Adoption-Friendly Workplace campaign, encouraging adoption benefits in the workplace; and launched aggressive messaging to dispel myths and misperceptions while elevating success stories through social and traditional media. In 2004, we initiated our signature program, Wendy’s Wonderful Kids, providing grants to adoption agencies to hire specially-trained adoption recruiters. These professionals focus solely on finding permanent, loving families for the children most at risk of aging out of foster care – older youth, children in sibling groups, children with challenges and youth who have simply given up hope. Today, the Foundation supports more than 270 recruiters across North America and more than 7,000 children have been adopted or are in pre-adoptive placements. 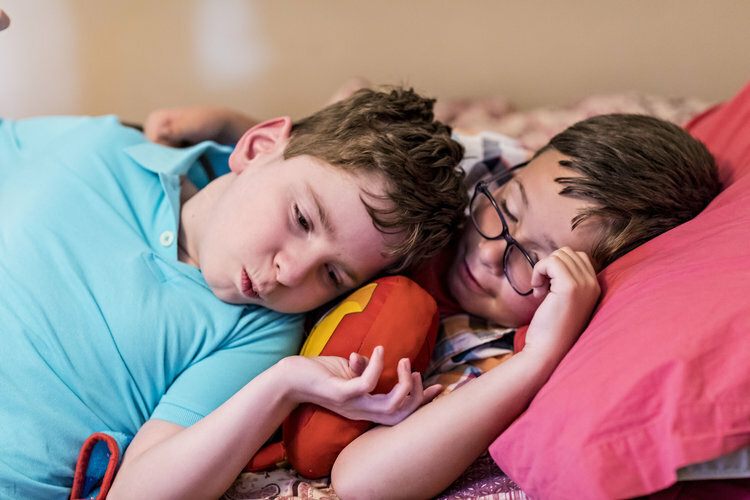 Children like Dawson and Dalton (pictured here), who might have been separated and lingering in the foster care system due to their age and Dalton’s special needs, will now grow up together in a family, because of Wendy’s Wonderful Kids. However, our work is far from done. Each year, more than 20,000 youth age out of foster care in the United States without the love and support of the family that they deserve. So we have our eyes on the future with lofty goals. On January 1st, we launched an aggressive expansion of Wendy’s Wonderful Kids that over the next 12 years scales the program in every state, driving toward permanent, adoptive homes for 60,000 children. We want you alongside for this exciting ride. There is so much work to be done, but these children deserve our best efforts, and that is exactly what they will get. I’d like to thank those who have supported the Foundation in the past 25 years, and those who have just joined us on the journey. We wouldn’t be able to embrace our future with such confidence without the unwavering support of those who are as committed to our mission as we are. On behalf of each and every child waiting for a family and a home, and from the bottom of our hearts, thank you.